This Georgia County May Close All But 2 Polling Places The board of elections in Georgia's Randolph County, has proposed closing two-thirds of polling places. Critics of the proposal say this is a move to suppress low-income and African-American votes. Sandra Willis says she believes the move to close polling places in her county is a plan to suppress the vote. Voting in the November midterms could get harder in one majority-black Georgia county with a poverty rate nearly double the national average. Randolph County, population 7,224, is about three hours south of Atlanta. The rural, agricultural area is considered part of the south's "Black Belt." It's known for producing peanuts and cotton, as well as a history of slavery, racial violence and voter suppression. Nine polling places are spread out across Randolph County's 428 square miles, but the local board of elections on Friday morning is set to decide whether seven of them should be closed, leaving just two open in the center of the county. The proposal has quickly become a messy campaign issue, even as it veers away from stereotypes about Democratic and Republican stances on voting issues. Amplifying the political stakes is a historic contest for governor in Georgia this November. Democrat Stacey Abrams would be the first black female governor in the U.S. Abrams founded a group called the New Georgia Project, with the goal of registering voters of color and encouraging them to show up at the polls. Abrams' opponent, Republican Brian Kemp, is Georgia's secretary of state, the top election official in the state. Kemp boasts about being tough on voter fraud. In 2014, he and Abrams clashed over voter registration forms submitted by contractors of the New Georgia Project. Republicans and Democrats in Georgia, including Kemp and Abrams, say they are opposed to closing the polling places. 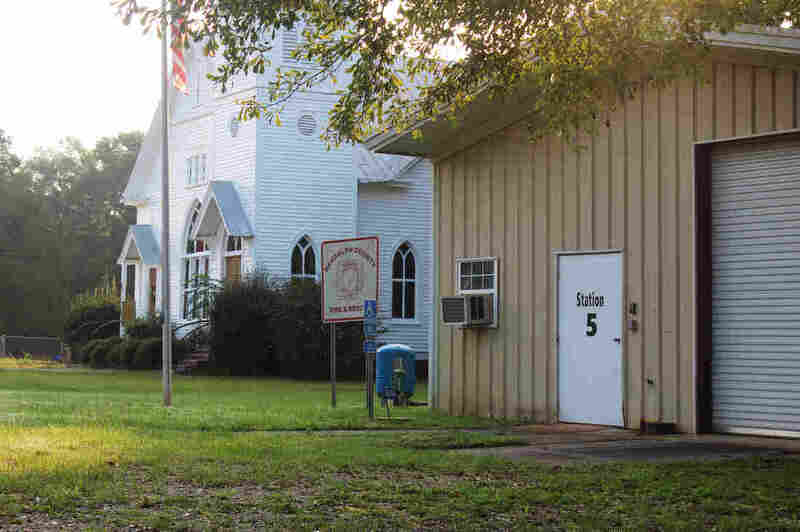 Randolph County residents and civil rights groups, including the ACLU of Georgia, argue the proposal would make voting especially difficult for African-Americans and people with low incomes who live on the county's fringes. If the fire station in Benevolence, Ga., is closed as a polling place, voters will have to drive around 15 minutes on Election Day. But some residents are quick to point out that many young and elderly people in the county don't have cars. The controversy highlights the challenges of running elections in rural jurisdictions that are often struggling financially. There is a limited public transportation system in Randolph County, and as some residents have pointed out, many young and elderly people don't have cars, so traveling the extra distance can be a deterrent to voting. "The people that we work against on a daily basis, since emancipation, no longer put up 'white only' signs and 'colored only' signs, [but] they do other things," says Bobby Fuse, an activist in the area. 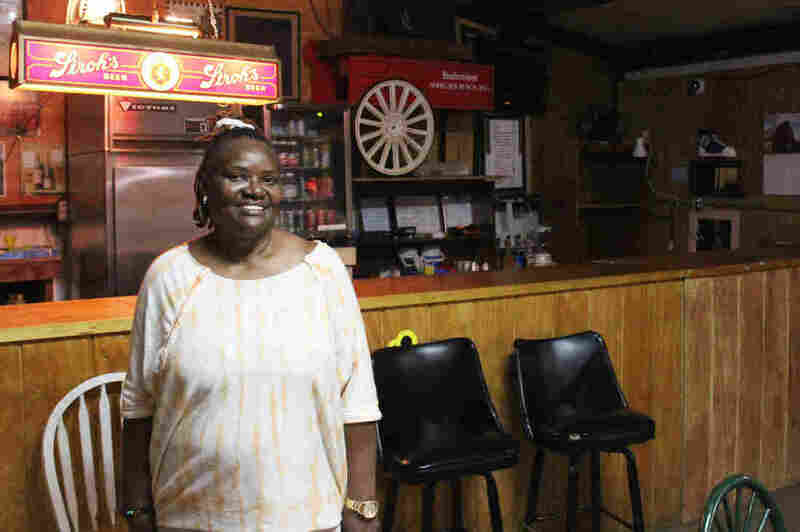 "You can't stop us all, but they're going to try to stop the ones that they can by closing the precincts," voter and activist Sandra Willis says. Republicans are worried they can't beat a strong candidate like Abrams, Willis says. But Mike Malone, the election consultant who was hired to advise Randolph County, explained in a public meeting last week that the proposal is about saving money. "The trend in Georgia, and other states, is to reduce the polling places, to reduce election costs, which is natural," he said. Thursday, however, the county announced it is terminating its contract with Malone. That came just a day before the board is expected to make a decision about closing the seven polling places ahead of the November midterms. Malone did not respond to calls or text messages asking for comment. "If I was going to suppress voters, I probably would not choose a county the size of Randolph to create this controversy," says Tommy Coleman, the county's lawyer. "As a practical matter, it would have a marginal effect on the election." Randolph County is controlled by Democrats, and Republicans argue the move is a scheme to keep Republican voters from the polls. Coleman says closing some polls in an effort to consolidate resources makes sense, but the idea needs more research and probably shouldn't happen just months before the election. Civil rights groups are threatening lawsuits if the county approves the plan on Friday. An earlier Web version of this story incorrectly said there is no public transportation system in Randolph County. In fact, there is a limited public transportation system in the county.